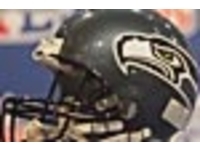 Visit the Seahawks' official website for your daily fix of team information. Russell Wilson's agent, Mark Rodgers, said the star quarterback really wanted to stay in Seattle and that the no-trade clause in the extension helped seal the four-year, $140 million deal. Russell Wilson is set to become the NFL's highest-paid player. The Seahawks quarterback has agreed to a four-year, $140 million contract extension, according to NFL Network Insider Ian Rapoport. Russell Wilson's agent, Mark Rodgers, has been in Seattle for the last three days to negotiate a new deal with the Seahawks, according to NFL Network Insider Ian Rapoport. Earl Thomas played nine seasons with the Seahawks before an infamous farewell. The new Ravens safety said he's moved on and hopes to sign a ceremonial contract in Seattle when he retires. Thirty-three months since he was last on an NFL roster, Taylor Mays is back in the news. The 31-year-old safety is working out for the Seattle Seahawks on Wednesday. Seahawks general manager John Schneider says Seattle is being a little more 'selective' in how they're approaching free agency. Seattle has four picks in the 2019 draft, which is later this month. No NFL team attempted fewer passes last season than the Seahawks, who also led the league in rushing. Seattle LT Duane Brown said he's in favor of offensive balance -- that is, more Russell Wilson passes. Seahawks head coach Pete Carroll said Doug Baldwin is expected to have a 6-8 week recovery from his upcoming sports hernia surgery. The WR also had knee and shoulder surgeries this offseason. Doug Baldwin might not be done with offseason surgeries. The Seattle Seahawks receiver told 950 KJR Radio in Seattle "more surgeries [are] on the way, most likely." Entering a contract season in the Emerald City, Russell Wilson is expected to become the latest "highest-paid quarterback in NFL history" this offseason or soon after. The Seahawks are re-signing linebacker K.J. Wright, NFL Network Insider Ian Rapoport reports. Wright played his entire eight-year career in Seattle. He missed 11 games last season due to injury. Jason Myers is cashing in on his 2018 Pro Bowl campaign.The kicker is expected to sign with the Seattle Seahawks after one productive season with the New York Jets. 4/16 David Moore (WR) Exclusive Rights Signing (exclusive rights signing). 4/15 Emmanuel Ellerbee (LB) Exclusive Rights Signing (exclusive rights signing). 4/15 J.D. McKissic (RB) Exclusive Rights Signing (exclusive rights signing). 4/15 Shalom Luani (DB) Exclusive Rights Signing (exclusive rights signing). Carroll became the eighth head coach in Seahawks history on January 11, 2010. Carroll returned to the NFL after spending the previous nine years (2001-09) as head coach at USC, where he won seven consecutive Pac-10 titles (2002-08) and two national championships (2003-04), and led the Trojans to a 97-19 record. He began his NFL career as defensive backs coach for Buffalo (1984) and Minnesota (1985-89) before becoming the New York Jets defensive coordinator (1990-93) and head coach (1994). He spent two years as San Franciscoâ€™s defensive coordinator (1995-96), leading the league in total defense in 1995, before leading New England to a 27-21 record and two playoff appearances as head coach (1997-99). Carrollâ€™s overall head coaching record is 33-31 in the regular season and 1-2 in the postseason. Carroll began his coaching career at the college level, spending time at Pacific (1974-76), Arkansas (1977), Iowa State (1978) and Ohio State (1979). He next spent three seasons (1980-82) as the defensive coordinator and secondary coach at North Carolina State, before returning to Pacific in 1983 as the assistant head coach and offensive coordinator. Carroll was a two-time (1971-72) All-Pacific Coast Conference free safety at Pacific and earned his bachelor's degree in 1973 in business administration. Carroll was born on September 15, 1951, in San Francisco.